Today’s enterprises are heavily dependent on technology and data to facilitate routine operations. The loss of systems and data can cripple an organization for days and in the worst case, run it out of business. That’s why data backups are so essential. But not just any backup will do. Many business leaders and IT executives believe that the very existence of a process for replicating and storing business data is more than enough to keep the organization’s data secure. As many businesses have learned albeit too late, that can be a catastrophic presumption. Data backups must be properly secured if they are to live up to their purpose. The following are some of the ways you can protect your data backups. Make sure your enterprise-wide security policies and procedures take into account back-up related considerations. Backups are essentially a replication of production data and systems. Ergo, whether it’s physical security or system access control, every security policy that applies to the production environment must be similarly and consistently applied to data backups. If that doesn’t happen, hackers and other malicious persons could use your backup environment to gain access to information they’d otherwise be unable to retrieve on the production system. 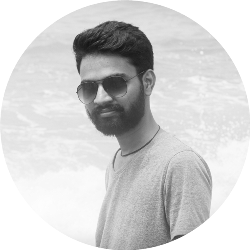 The rationale of backups is to ensure that in the event of an incident that renders production data unusable, the business can retrieve an identical copy of such data to ensure continuity. For this disaster recovery process to work well, the backups must be stored offsite. At the minimum, backups should be in a separate building. The best case scenario though is to store them in a completely different location or in the cloud. Remember that major disasters such as floods, earthquakes and powerful winds can destroy entire buildings. If production data and backups are within the same premises, they’ll be taken out at one go. Encrypt your data backups if the backup software you use supports it. In fact, the absence of encryption capability should be reason enough for you to switch to different server backup solutions for business. Whether you physically move your backup media to a remote site or are transferring the data to a cloud-based backup platform, your backups won’t enjoy quite the same degree of physical control as your production data does. Encrypting your data serves as an additional layer of defense if someone does get past access controls. Whether you store your backups on tape, optical disks, magnetic drives or network-attached storage, make sure the media is kept in a fireproof safe and a facility that has robust fire suppression systems. Note that not any fireproof safe will do. Many organizations make the mistake of storing their backup media in safes that are only fire-rated for paper storage. The assumption is that any safe that can protect something as fragile as paper should be good enough for any other media. This can be a costly miscalculation. Backup media such as magnetic drives, tapes and optical disks have a lower melting point than paper. A paper-rated safe would thus only provide a false sense of security that will unravel in the event of a fire. 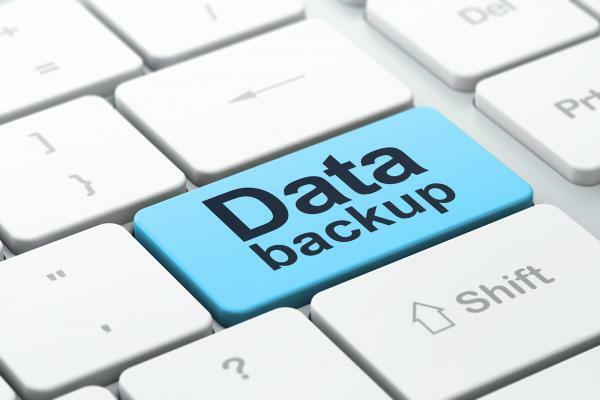 The backup process will usually involve the participation of several third parties. These range from the backup software and servers, to the physical premises manager and freight service provider. No matter how good your internal backup policies and procedures are, they won’t be as effective as they should if participating vendors aren’t adhering to the same principles. Your backup procedure should involve periodic audits (once a year or once every two years) where you confirm that vendors are taking reasonable security measures when handling your backup data. Contracts are good but hardly sufficient. Trust but verify. Audit vendors to confirm they are doing what they commit to do. Few things are more disappointing as trying to restore your backups after a major disaster only to find out that they don’t work or the files are corrupted. Your backups are only as good as your ability to restore them. Test your backups regularly to ensure that you have the right data, that it isn’t corrupted and (for old backups) that it is compatible with existing systems. Review your data backup procedures and use these tips to identify any gaps. Some loopholes may seem minor but they can make the difference between whether or not your business recovers from the loss of your production systems. Checkout Alpine Security for cybersecurity services and training.